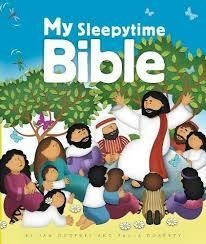 My Sleepytime Bible is a bright, colourful, whistle-stop tour through the best of the Bible. From the naughty snake in the garden of Eden to the sleeping lions in Daniel, from God calling Samuel in the night to Jesus calling his disciples on the sea in Galilee, this richly illustrated picture Bible contains 24 perfect tales for sleepytime, or any time when children curl up for a story. Cover To Cover - Who Is The Christ?